The two-year, 4 semester programme comprises basic and compulsory lectures imparting a thorough, science-based understanding of the behaviour of engineering materials of all kinds. 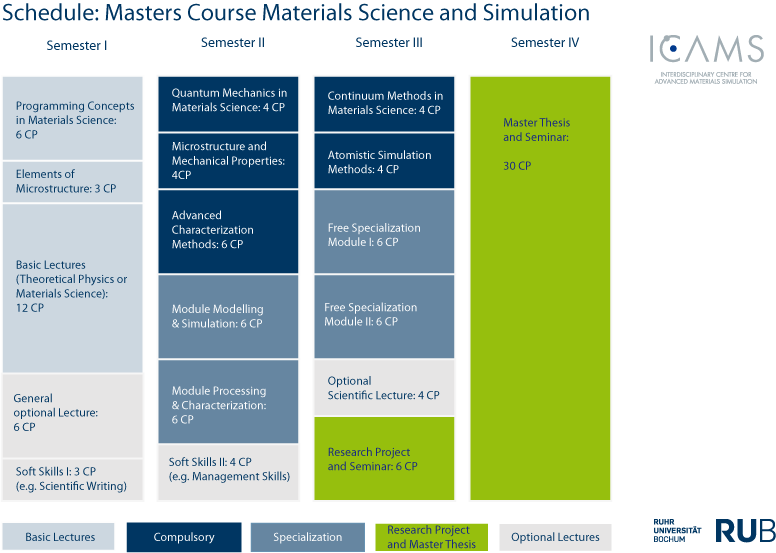 In the first semester, Bachelors with different backgrounds have the possibility to acquire the basic knowledge they need to successfully work in this Masters course, like solid state physics for engineers or materials technology for physicists. These basic lectures are composed individually on your specific background experience. 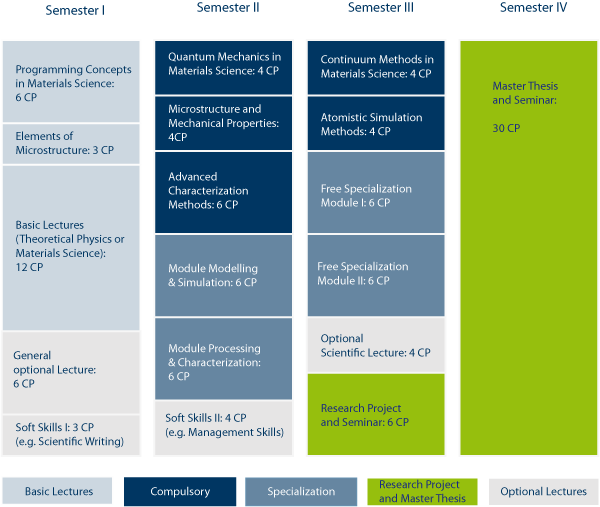 Throughout this course you will acquire a profound knowledge in advanced experimental and numerical methods of materials science and engineering. In optional and specialization lectures, you can widen your outlook and deepen your basic knowledge on current material challenges. There are ample possibilities to gain practical experience by participating in active research projects. Thus, you will gain hands-on experience with state-of-the-art numerical and experimental methods and develop the method competence and skills required for problem solving. In the final semester, you prepare your Master thesis. Supported by a mentor you will work on a scientific project and compile your research results in a final report. Throughout the master’s course, you attend lectures in professional key competences (soft skills).